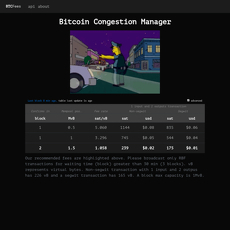 If you want to learn more about blockchain fees, especially for Bitcoin, this site makes sure you are updated about the daily Bitcoin fees for every transaction. 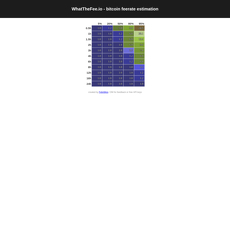 This site predicts Bitcoin fees for transactions, and most of it are 90 % accurate. The site looks simple and easy to understand at a glance. 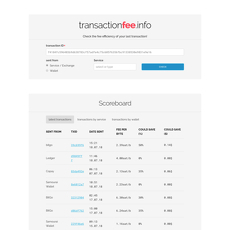 Firstly, there are 2 information under the fees icon; the unconfirmed transactions and the transactions for the day. However, you can choose whether it should be in Satoshis, bits, mBTC or BTC. The site then displays range from 1 to 99+ (each number having its own limit and reading i.e. 1-2; 3-4; 98-99; 99+). 1. Fees to Use: Here, we are told the best, fastest and cheapest transaction fee is 14 satoshis or byte which is displayed as green in the chart while the median transaction size of 225 bytes will result in 2,700 satoshis. 2. Available Bitcoin Fees: The kind of fees displayed on this site are mainly Satoshis per byte of transaction data; hence, it is a great advantage for miners to do transactions with the highest fee or byte. 3. Delay: Delay is simply the time taken to make confirmations between blocks. The different types of delay have been explained on the site for you to read and understand. There are also ways in which Delays are predicted. 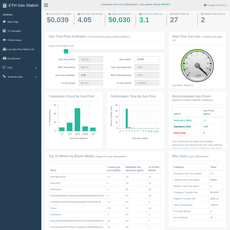 API is available for developers. Site has a poor graphic design.